Should Your Business Invest in Company Apparel? 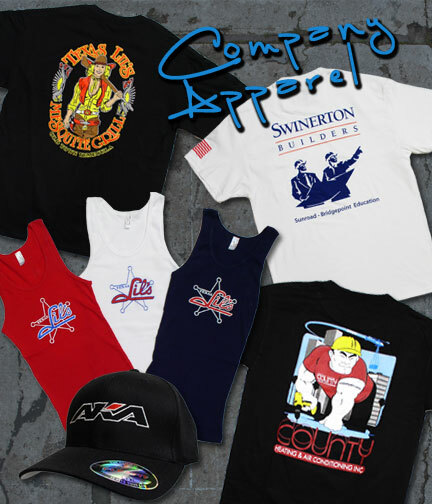 Are you a small business owner weighing the pros and cons of investing in custom company apparel for yourself and your employees? Having branded apparel can be a great advertising tool, but you first need to make sure it is appropriate for your business. You may also be contemplating what type of apparel to get and wondering if any of it will fit within your budget. If the people involved in your business are out in public on a normal basis, custom corporate apparel is a must. For example, a landscaping business has workers outside houses and businesses as they trim plants and mow grass. People will be driving and walking by as they landscape. If each employee was wearing a company t-shirt with a large logo they would be improving their brand awareness. Now that you’ve determined that custom company apparel is necessary to your business, what type of clothing should you get? It depends on the type of work your employees are doing. The landscaping business would want screen printed t-shirts that can get dirty and easily be washed. If the landscaping company is in a cold area screen printed sweatshirts are perfect. Say you have sales representatives in the field, embroidered polos are a professional solution that still gets your brand image across. Embroidered hats, with the company logo across the front, are easily noticed when doing errands around town. All these products can be a huge help in your marketing effort. This one time purchase has countless impressions when worn consistently by the people involved in your business. SoCal Impressions can help you with any of theses projects. We design and create company apparel in the Temecula and Murrieta area. We can also help businesses throughout Southern California. ~ by socalimpressions on February 5, 2010.